Join us and experience the beauty of ancient Chinese woodblock printing methods at a demonstration and workshop led by award-winning artist, Dr Weimin He. During this craft workshop, Weimin will talk you through the history and methods of this art with demonstrations, before you perfect your very own pieces of print, which you can then take away. Each print will only cost £5, with two blocks of wood carved design to choose from; a small block of “spring flower” (迎春花) and a “door God” (门神) – an auspicious Chinese God which provived protection to the household. Woodblock printmaking is an ancient craft invented in China. Traditional woodblock prints were produced as book illustrations and auspicious New Year prints. In the 1920s and 1930s, European realism was introduced to China and printmaking became an efficient medium for mass education and propaganda. With the open door policy and the reforms of the 1980s, artists have developed a greater variety in their styles and subject matter to express a growing modernism. All ages are welcome to join! Children can also participate and children under the age of 10 years old will need parental guidance and support during the activity. The workshop will run in two 2-hour slots at 1:30pm to 3:30pm and 4pm to 6pm. Weimin He currently teaches drawing at the Ruskin School of Art, Oxford University. He has extensive experience as an artist, teacher and curator. As a printmaker, Weimin has practised in both woodblock printmaking and lithography. His works have been exhibited internationally during the last two decades and are represented in many public and private collections, including British Museum, Ashmolean Museum, Portland (Oregon) Museum and China National Gallery in Beijing. He is a Member of the Royal Society of Printmakers. 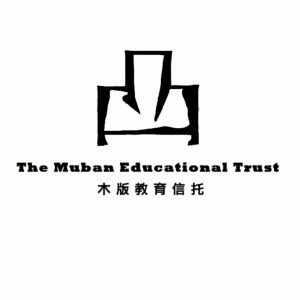 The Muban Educational Trust (MET), formerly known as the Muban Foundation, is a registered charity established to collect, research, exhibit and promote Chinese woodblock printmaking. The Trust is based in London and is the guardian of the largest private collection of Chinese woodblock prints in the world. The Trust created bi-annual Muban Woodblock Printmaking Awards in 2014 to encourage and support young artists in China. Most of the prints for sale at the Winter Blossom Fair are works by shortlisted and award winning young Chinese artists from the last three Muban Awards. This workshop is presented by China Exchange and the Muban Educational Trust as part of Winter Blossom Fair from 9th to 11th November. Click here to see other free events and plan your visit.